Aromatherapy may be a new term to many of you listening, but it is an ancient art and science which began its re-entry into the modern world only a few years ago. With a Biblical foundation and historical information from different cultures around the world, there is much that we have to learn and study. We are very excited to share this life-changing information with those who are looking for new truth that might bring healing of different dimensions resulting in untold health, happiness, and prosperity. Don Gary Young grew up in the central mountains of Idaho on a ranch 80 miles away from the nearest doctor, with no running water or electricity. He left home at the age of 17 to seek his fortune in British Columbia where he homesteaded 320 acres and began building an empire of logging and raising horses. When he was 24 years old he was hit on the head with a tree while logging. After three weeks in a coma and four months in intensive care, he found himself paralyzed and confined to a wheelchair for life, according to all medical prognoses. After two years of intense pain, depression, drugs, and three suicide attempts he decided to change his attitude and take control of his own destiny. His search for natural ways to heal his body put him on the path he walks today. He studied the sciences of hematology, medicine, anesthesiology, acupuncture, pathology, nutrition, herbology, and many other types of healing modalities. And thirteen years later he found himself running in a half marathon and finishing 60th out of 970 participants! After receiving a Master’s Degree in Nutrition and a Doctorate in Naturopathy he opened a family practice in ChulaVista, California and a research clinic in LaMesa, Mexico where he could do research in the areas of natural healing. His work in Mexico was of such a magnitude that in 1985 he received the Humanitarian Award from the State Medical Examiner’s Office of Baha, California–one of six ever awarded–for his research and successful treatment of degenerative disease. He pioneered the field of Blood Crystallization and helped advance the Dark-filled Study of the Blood and its relationship to bacteria and viruses. It was in his clinic where he built the vast foundation for the work he is doing now and where he experimented and learned how to add essential oils to food supplements. His studies have taken him around the world, and most recently, to the Andula University in Eskisehir, Turkey where he was invited by the United Nations Industrial Development Organization to speak at the International Congress on Essential Oils. There he presented not only his research on plant germination and organic farming, but also the research that he is conducting at Weber State University on the Anti-bacterial Inhibition of Essential Oils against Gram-negative Ecoli and Gram-positive Staphorus Bacteria, as well as the comparative studies on essential oils against ampicillin and penicillin, and the results were very exciting! Gary is one of the first Americans to become a certified member of the International Federation of Aromatherapists, headquartered in the Royal Masonic Hospital in London, England. Essential Oils..just to give you a simple analogy, if we were to take the oil from the plant or just take the plant and the human body and put them side by side, we could do some very interesting comparisons. You see, in the human body we have a substance called ‘blood’ and that blood has a very specific purpose. That purpose is to transport nutrients to the cells to nurture and feed the cells. One of the primary agents in that blood that is responsible for the delivery of the nutrients through the cell wall is called ‘oxygen.’ If we take the oxygen out of the blood, what happens? We would die very quickly. The cells begin to mutate and give off a toxic gas that creates a host for disease. Today we live in an environment where we are deprived of oxygen because of the air we breathe, the food we eat, and the water that we drink. Because of that we have set ourselves up to be victims, and it is quite obvious what is going on in our world today. When we look at essential oils, they have the same role and play the same function in the plant as the blood does in the human body. The essential oil is the blood of the plant. How many of you have cut your finger? And what happens? You bleed. Why do you bleed? Exactly..to cleanse and to kill the bacteria because you have to do that to start the regeneration process of the tissue. How many of you ladies have seen a leaf on one of your house plants torn or damaged? What comes out? It is a liquid, isn’t it? It’s called the ‘resin’ by some. Some call it the ‘blood of the plant;’ some call it the ‘life force of the plant,’ but it is the same thing. It bleeds..it bleeds to cleanse that part where the plant is damaged, to kill the bacteria. You see, the essential oil is like the blood..it is a transporter, and the primary ingredient inside that oil is called OXYGEN. It has been discovered and determined now through research and the translation of papyrus and hieroglyphics in Egypt that oils were the first medicine of man. Even before herbs were used, oils were extracted from the plant and used before the actual plant was used. As of three years ago, it was documented the essential oils produce the highest level of oxygenating molecules of any substance known to man. So when we think about that..that we can get actual oxygen from the oil, it is quite exciting! Not only do we get oxygen from the oil, but we also get negative ions and we get ozone. Are they important to us? Why? Can bacteria live in ozone? Can bacteria live in a negative ion environment? No! It is interesting when you look at what is going on in our world because there is a big wave that has hit the United States called ‘antioxidants’, and everybody is looking for antioxidants and antimicrobial substance to take. 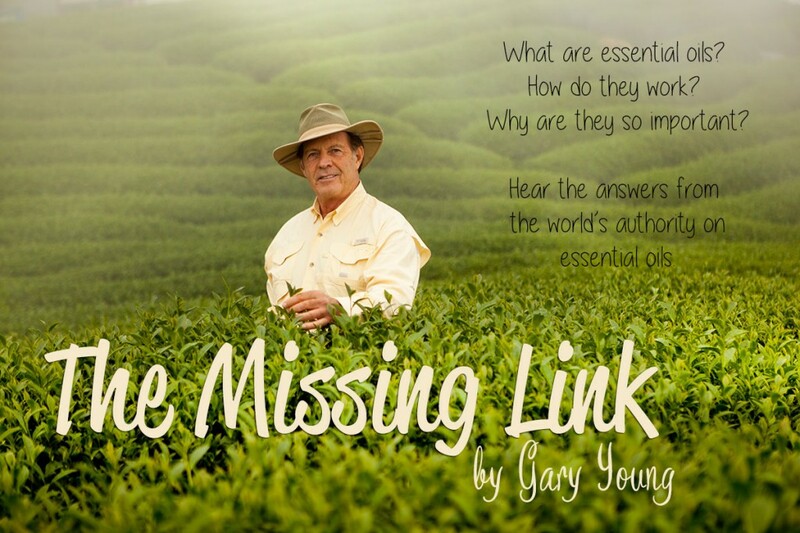 We are going to walk through some things very quickly and show you why essential oils are ‘the missing link.’ in our health field today and why everyone and every home needs to have them. the foods that we are eating. The foods that are coming from the fields are sprayed with chemicals; the ground is saturated with chemicals and has been for over 50 years. And we wonder why we can’t get good, wholesome food today..not to talk about the environmental contamination that is going into the aquifer, along with all of the contamination in the entire chain to which the human body is subjected. So detoxification is extremely important today in our lives. It is really interesting to know that essential oils, because of their structure, literally will push chemicals and metallics out of the cells. How do they do it? Because they have the highest level of oxygenating activity of any substance known to man. Oxygen pushes toxins out and pulls potassium back into the cell. Essential oils will re-establish normal cell function and balance. This is a statement from Time Magazine..it was a September 12 issue and I am sure most of you have seen it: “New virus and drug-resistant bacteria are reversing human victories over infectious diseases.” How can this happen if we have a healthy body? Can we have infection if we are healthy? Can we have cancer if we are healthy? Can we have AIDS if we are healthy? No..of course not! Let’s be realistic. While this article was being published and they were talking about the 850 people in Russia, they did not even make mention of the thousands of people they were digging holes for–open pits—and burying in mass graves in South America from cholera. Did anyone see that on CNN? We need to start paying attention and waking up to what is really going on around us! Look at this article: ”Some microbes can reproduce in just 20 minutes.” This article goes on to talk about how the drug makers are fighting back, and yet..every time they produce a drug, the bacteria or the virus mutates and develops its own immunity to the antibiotic. 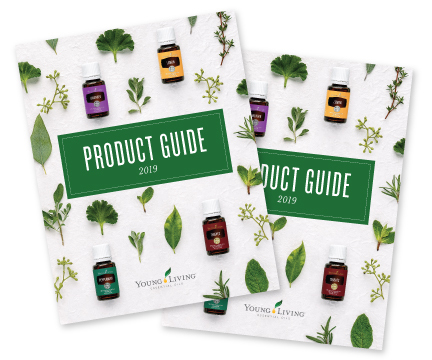 That is quite interesting because when you know these things are fact and when you come to understand oils and realize that at this point in time, they have not found one virus that can create an immunity against an essential oil! Respiratory infections (bacterial and viral) = 4 million deaths per year. Diarrhea and diseases related (viral and bacterial) = 3 million deaths per year. Tuberculosis (bacterial)–and now we have a new viral tuberculosis, do we not? And they don’t even mention the viral tuberculosis here, just the bacterial, which = 3 million per year. They don’t even talk about cancer and heart disease in that survey..just diseases related to virus and bacteria; and yet they don’t even mention the new tuberculosis virus. The new Hunta virus is not listed there; nor the flesh-eating virus, the Streptococci A, the Ebola virus. There is so much going on that we are not even aware of what is happening. I think many of us also have a tendency to want to ignore it. We don’t want to deal with the truth. Why? Because we don’t know what to do about it. Look at the same article: “Where will the next deadly virus appear?” It goes on to talk about small pox, AIDS, and hepatitis B. How many of you are familiar with the Ebola virus and the symptomology of it? Are you aware that the Ebola virus causes decomposing of the internal organs and the smooth muscle tissue inside the human body? And once a victim contracts the Ebola virus..three to five days and they are dead! Do you know what happened in Flamenco, Minnesota just last week where eight people died from what they are calling the ‘new streptococci virus’ that cause people to die within three to five days? Their tissue internal organs degenerated..it was the Ebola virus, but they are saying it was the new streptococci A. An epidemic! This is an interesting statement: “The price of doing nothing will be millions of lives.” It has happened before. Look at this article..it was in Seattle: “Killer flu1918-19 killed 20 million people!” So we are not dealing with something that has just popped into our world today. There have been viruses around since the beginning of time. Look what happened during Moses’ time; look at the 16th century plague in England and Europe that claimed millions of lives. Why is it happening? Why do we have more of it today? Because we have weaker immune systems. How are we going to build our immune systems? How many are familiar with this article out of the Weekly World News, November 8 issue? Interesting, isn’t it! Especially, if you happen to be a victim! Cancer flu has reached the United States and left stricken victims in Dallas, San Francisco, Chicago, and New York. What are we going to do about these things? Look at this article in the March issue of Readers’Digest: “The invisible invaders..The question is no longer ‘when will the infectious diseases be wiped out?’ Rather it is..’where will the next deadly new plague appear?’” You need to read it. Isn’t that interesting! But do you know about it? Do you read about it? Do you get to hear about it in the US of A? Of course not! How many of you know someone who has Diabetes? Let me show you what is going on in Cairo University with Diabetes. They cure it! Look at this..it is one of the simple studies that was conducted on Diabetes. “Blood Glucose Levels”-this was a control group with insulin. They used Bitter Fennel and they dropped it from 275 to 200, common Dill oil – below 200, Coriander brought it down to normal range. Simple essential oils. “Scientists examine the role of food derivatives in preventing cancer.” Is anyone interested in cancer prevention or regression? Look at this: “Soybeans, Lavender oil, and orange peel.” Let’s jump over to another article: “Cancer-fighting powers of plant oils! Small quantities of Lavender oil have been shown to work against breast cancer in lab animals. In animal studies we got both the prevention of cancer and the regression of cancer.” How many would rather have chemotherapy than a bottle of Lavender oil? This is something that is very exciting. We need oxygenation, antioxidants, and increased frequency. What is a frequency? Is frequency important to us? Are our bodies electrical? Absolutely! It is very interesting to study that and see that not only is our body electrical, but everything around us has electrical frequency. But there are different types of frequencies, and this is what is kind of interesting. The overhead lights here also have a frequency called ‘60 hertz.’ Essential oils have frequencies from 52 to 320 hertz, but the difference between the oil frequency and the light frequency (or television or telephone or microwave) is these electrical AC frequencies are incoherent, chaotic frequencies. They fracture the human electrical field. Essential oils, on the other hand, have a coherent, harmonic, DC frequency, and so they are harmonious with the electrical field of the human body. So essential oils give us oxygen, antioxidants, and frequency. I make food supplementation and was the first to create this type of formulation–the first to develop it in the world–and that was using essential oils in the food supplements. Why? Because we found essential oils work as a transport mechanism in the food supple-ments. And the reason we are starving to death nutritionally is because we are not assimilating the nutrients on the cellular level. Essential oils have the ability–because they are soluble with the lipids in the membrane–to go through the cellular wall and to carry with it nutrients they are in association with. That is their purpose in the plant life..to transport nutrients through the cell wall and deliver it inside the plant. So when we took essential oils and put it inside the plant, it was very exciting because we got a delivery system! I want to back up just a little and give you something to think about. Going back to the blood..the blood is the transporter of nutrients: vitamins, minerals, proteins, amino acids, hormones, enzymes. That’s the pathway that they travel in to go to the cells. Then the cell wall has to be receptive to those nutrients and those health food ingredients, but when we have a deficiency in oxygen the cell membrane literally will start to thicken because the pH changes. When it thickens, then the oxygen that is present there–also being compromised because of life styles–is not able to get the nutrients through the wall. So we wind up with nutrients in the blood serum, but we can’t get inside the cell and so we wind up having cell mutation, creating a host for viruses, bacteria, and germs. we cut the plant and dehydrate it? We evaporate 98 percent of that live substance that is responsible for the healing force of that plant! As I look through the audience I see quite a few people who are probably old enough to remember the days when they used to gather herbs fresh in the pasture, in the field, or out on the hill and come home and make up their poultices and their teas and their extracts..and it worked. So you tell your children about it and your children get sick and they go down to the health food store and buy a bottle of that same herb in a capsule form, take it home, take six bottles of it and nothing happens! And we wonder why! It is because modern man has taken the life force out of the herbs by dehydration. When I learned about that, that is when I began spraying the oils back into the powdered herb and it brought back the bioavailability of the nutrients that weren’t there before or available to us because it had been evaporated out of them. So we were the first to put essential oils back into the plant and re-establish that activity. So if we want to cleanse our bodies, if we want regeneration and we want immunity, then we have got to start working on self..inside out and outside in. It is really beautiful because we can create that simply by putting oils on the body. What we are looking at here where it says Active Principles. These are the constituents or the chemical ingredients found inside of that Lemon oil that are identifiable. Many have not yet been identified. Look at these agents.. Sesquiterpenes. I am going to talk a little bit about it as I go along. In June 1994 it was documented that the agent of Sesquiterpenes has the ability to go beyond the blood/brain barrier and was discovered in high levels in Frankincense and Sandlewood oils. I attended a three-day medical conference in Dross, France on September 5, 6, and 7 of 1994. I saw this research presented. I saw the brain scan slices of before and after the inhalation of Frankincense and Sandlewood and how it increased the oxygen production in the limbic system, particularly around the pineal and pituitary glands. I saw how it increased the secretion of antibodies, endorphins, and neurotransmitters. Let’s look at Lemon oil..anti-infectious, antibacterial, (streptococci), antiseptic, antiviral. This is how the doctors prescribe Lemon oil to be used in the hospitals in Europe. There are 150 hospitals in England alone now prescribing and using essential oils for treatment. Lemon is used for respiratory infections, liver insufficiency in children, digestive insufficiencies, insomnia, phlebitis, thrombosis. They also use it as a disinfectant in the air and on the cabinetry and medical cabinets and in hospitals throughout Europe. What do we use in America to disinfect with? Drugs! This is another beautiful oil..I showed you from the Associated Press about Lavender, did I not? Look at this slide: Look at the profile..there are Sesquiterpones. Not only are Sesquiterpenes and Sesquiterpones able to go beyond the blood/brain barrier, but they have also been found (along with Phenols and Cineoles) to contain the highest level of oxygenating molecules of all the constituents in the oil. Let’s look at what they say Lavender will do. This is out of Paris, France, incidentally: “Antispasmodic, decongestant, muscle decontraction, hypotensive, anti-inflammatory, antiinfectious (staph), cardiotonic, anticoagulant of fluids, (they prescribe it for the spasms of the solar plexus), insomnia, dermatosis, infectious, allergies. How many of you have taken allergy shots in your life? Isn’t that bizarre to know that Lavender is used for allergies! and bring it to the United States and cut it with propylene glycol and synthetic donstituents like linalyl acetate and put in a bottle and sell it as ‘essential oil’ of Lavender. If you don’t know the difference, you are just a victim. So if you go down to the health food store and you see a half-ounce of Lavender on the shelf for $5 to $8, you know that you are getting garbage, because pure Lavender oil can’t be purchased in France for that price! So those are things that are very important to know. To get pure Lavender oil–and just to give you an understanding–there are four hybrids of Lavenders, but they are all called Lavendins. They are not therapeutic for aromatherapy use, but that is what is sold in the United States predominantly because people here don’t know the difference. Our Lavender that we produce on our own farm in France and also on our own farm in Idaho is grown by us. In order to produce the top quality you have to distill this plant..that is how the oil is extracted, through steam distillation. It has to be done at low pressure and, low temperature. Lavender has to be in the cooker chamber for a minimum of one and one-half hours, and better..two hours. But in the commercial distilling in Europe for the perfume industry, they distill Lavender for 15 minutes at 400 degrees and up to 150 pounds of pressure, and they pump chemicals into the water while they are doing it. These are things that are very important for you know..that is it not a matter of just running to the health food store and buying oils, because the people who are marketing oils predominantly are in it for the money. They don’t care about the purity and they have not taken the time to study. I have spent 11 years in Europe, Israel, and Egypt studying the history and working in the universities. I started in 1984 and my studies have been in the Medical University of Geneva, Switzerland, the University of Paris. I have worked in two hospitals in Paris. I have studied at the Worwick University in England, the London University, the University of Cairo where I have spent three years working, studying and traveling. I have studied at the Hebrew University in Jerusalem. I spent five years off and on in southern France learning the ancient art of distillation so we could maintain that purity. It is a fragrance component in pharmaceuticals, antiseptic ointments, creams, lotions, cosmetics..including soaps, detergents, creams, lotions, and perfumes, Lavender waters and colognes. However, Lavender now is starting to be widely used in Aromatherapy for the treatment of burns, scalds, inflammation, wounds, ulcers, eczema, dermatitis, fainting, headaches, migraines, influenza, insomnia, hysteria, tension, infection, rheumatism, and arthritis. Now when you can get a bottle of Lavender oil for $15, who would want to have Aspirin? highest produced in the world! Look at the toxicity..subcutaneous injection showed low toxicity..no human photo toxicity reported, so it is totally safe. That is the beautiful part of essential oils..you don’t have to be concerned about having side effects from pure oils. Cut, adulterated, synthetic..absolutely! But not pure, not the way God intended it to be. Why is it valuable? How do we get oils quickly into the system? Through the olfactory nerve to the pineal, the pituitary, the amygdala. When you breathe an oil into the system through the nasal cavity, it is first picked up by the neurons that hang down from the olefactory, right between the eyes, in the top of the sinus cavity. Those oil molecules are carried within mili-seconds into the center of the brain. They have discovered that through the inhalation of essential oils into the mid-brain system it will cause a secretion of antibodies instantly.. endorphins and neurotransmitters. Now we are seeing a direct response on the immune system from the inhalation and topical application of essential oils like none other that has ever been created. Diffusing puts the oils into the atmosphere in your home. You are getting increased oxygen because it releases the oxygenating molecules. You are getting increased ozone and negative ions because that is where it comes from in nature..from the plant oils. You are getting the antiviral, antifungal, antigermicidal immunostimulating properties, and you are inhaling this. I just got a hard copy in from the Internet last week from Ulser University in northern Ireland where they did a study of diffusing..vaporizing essential oils into an atmosphere with 210 colonies of bacteria and it killed all 210! So diffusing makes the most perfect air purification system that has ever been invented or rediscovered. We can’t afford to be without it. How do we know these things happen? How do they work? By simply studying the properties in the oil. This is Thyme Bulgaris on a chromatogram. Everyone knows what camphor is..right? It is soothing, it penetrates the tissue. Camphor is synthetically made from the active ingredient called Camphene, so when we look at this oil–which is Thyme oil–we know that it is going to have a very powerful effect in penetrating. We look at the Pynenes..they are germicidal. We look at the Cineoles right here..they are antibacterial and antiviral. We look at the Terpenenes..they are antiviral in action. So when we take an essential oil in the laboratory and analyze it, we know instantly the value it has. Depending upon the percentage of activity, it will tell us whether it is a pure oil or whether there has been something done with it. So the science is incredible. This is Clary Sage that we grew at our farm this past summer in Idaho. It contains the highest linalyl activity of any Clary Sage distilled..72. Most ClarySages will run around 57. Down here you have Scleral, the transoxide to Scleral. That is what converts to Estriol in the human body that produces natural Estrogen. So how many of your ladies are taking some synthetic hormone? You have what you need right here in the plants. When God created this world, he created everything naturally for us and he gave us every substance that we will ever need to protect our bodies from all the things that we have to deal with..just like he gave to the children of Israel. Yes, they were faced with a plague and if you saw the movie The Ten Commandments it depicted it as an avenging angel, a green fog that floated through the city. It was a plague. The scientists and researchers in Egypt say it was nothing different than the AIDS that we have today, and they are convinced of that. What did Moses do to protect the Israelites from that plague? He used Hyssop oil in the lamb’s blood. You can read about it in Exodus, Chapter 12. You can also go to Exodus 30:21-27 and read about the oil formula after the art of the apothecary. The Lord gave this to Moses to give to the children of Israel to protect them against the ravishes and the diseases of the plague. We are talking about a substance that was at the beginning of time with a Biblical foundation..and man has ignored it! It has been lost and forgotten. Not until about 1921 did it start to come back to our time from an old gentleman, Dr. Rene-Maurice Gattefosse, who was a French cosmetic chemist working in his lab one day, had an explosion, and had a third-degree thermal burn on his hand, wrist, and forearm. Knowing that he needed to reduce the temperature, he reached over where one of his colleagues had just set a container with liquid in it, thought it was water, plunged his hand into it..and it was Lavender oil! It healed his burn without a trace of a scar. That man, being a chemist, was so excited he took the Lavender apart to understand it and to find out how it healed this burn without a scar. From there, he gave the research to Dr. Jean Valnet, who was a medical doctor in Paris, France. really started until 1967. It is the most exciting thing that we have. This is just a little bit about essential oils. Frequency..we were the first to discover that essential oils literally contain electrical frequency. We did a study of over 200 subjects at the Eastern State University in Cheney, Washington. We found that the average body frequency ranges between 62 to 68. The brain frequencies are 10 hertz higher during the day, then it reverses during the night when the brain frequencies are 10 hertz lower and body frequencies are 10 hertz higher. We took two young men who each had a 66-hertz frequency. One held a cup of coffee and his frequency fell to 58 in three seconds. The other man drank it..his frequency dropped to 52 in three seconds. We didn’t let this young man have any oils and it took three days for the frequency to go back up. As for the young man who just held the coffee..we let him breathe the essential oil of RC and his frequency went up in 21 seconds! Another thing that is really exciting is regeneration. How can you regenerate something if you can’t stimulate circulation and activity? This comes from Dr. Richard Restic’s work, the top leading neurologist in the United States, Washington DC. This man helped me to discover that oils were electrical. How? Because we discovered that hearing could be restored with the oil of Helichrysum..not only from loss of hearing, but from born deafness. Three people now have had total restoration. I went to him to ask “how?” He said, “Because the oils are electrical, they stimulate the firing in the axon, and they increase the neuro-transmitter that converts in the axon to electron. It fires across the synaptic gap. In a birth defect, nerves did not connect.” He said, “The oils will literally increase the firing of that synopsis and it will jump across the gap and connect to the nerve that did not connect. Once it starts firing, it will start growing together until it hard-wires.” So essential oils have the ability to stimulate the regeneration of damaged nerve tissue..Helichrysum. How do we use oils? Diffusing in the air and through the feet. Many of you here are probably Reflexologists, or certainly work with the feet. Start working with the oils through the feet. How many of you have experienced pain and suffered with pain for days and days and could not get rid of it and you have taken pain medication and Tylenol, Morphine, and whatever to kill pain? How would you feel if you knew that you broke a bone and could take a single oil and rub it on that broken spot and stop the pain within three to six seconds? You can do it with essential oils! There is a formula that I make called PanAway..it has two oils in it that are greatly responsible for that. One is Helichrysum and the other is Birch (now the comparable Wintergreen). Birch oil, like Spruce oil, contains Methyl salicylate. It works like cortisone on the tissue and it is a topical anesthesia. Helichrysum is a topical anesthesia. It is beautiful, so I made this formula called Pane Away for that purpose. remove the evil deities (which we call negative emotions) that they could not come back into the body and would be left in the tomb. I was allowed one year ago to go into a secret chamber where this ritual was performed, and I was allowed to photograph the walls. We started translating hieroglyphics that told about this ritual, which was a three-day ritual, and they used oils to take the people through it and totally eradicate the negative memory and memory trauma from the people. I have started teaching and working with people with oils for eradicating emotional trauma..it is lifechanging! In fact, we have a little oil blend called Hope and if you ever feel depressed or manic depressant or suicidal, take a couple of drops and just rub on your ears and it will take it away in a matter of seconds. Another beautiful area to work through is the spine. Just massaging the oils up and down the spine, getting into those nerve meridians, getting into those organs and glands of the body is absolutely incredible. We had a young lady in Denver, Colorado where we held a seminar for 150 people. She had a great big knot on her spine at the tenth lumbar. We rubbed simple oils of Spruce,Birch and Frankincense on it and it dissolved half in twenty minutes while 150 people gathered around and watched! Let’s consider what is going on in the antiviral activity. We have a little kit called the Essential Seven that has Lavender, Peppermint, and Lemon, plus four blends (because I formulate blends.) One of the blends in the kit is the Pane Away that I just mentioned. Another one is called Peace and Calming. I made that for people who are hyperactive, like children. I made it also for hyperactive parents who have hyperactive children! I made another one called Purification to kill airborne bacteria in the home.. odors, mold, fungus..it is incredible! Also in that packet is a blend called Joy. This has Rose oil in it..the highest of the frequencies, 320 hertz! It has Ylang Ylang in it, which balances the male and female energies. It also is a powerful support to the heart for tachycardia and arrhythmia. Aromatica. It is a plant that is a combination of Clove and Nutmeg and it grows in Madagascar. Of course, you see the Sesquiterpenes..they stimulate the immune system. Look at this..anti-infectious, antiviral, antibacterial, and it is indicated for renal pharyngitis, gripe, sinusitis, bronchitis, viral hepatitis, virus of the intestinal tract, cholera, herpes 1 and 2, infectious mononucleoses, insomnia, muscular fatigue..that is one of the oils in that formula. Here is another one you ladies probably have in your kitchen called Oregano. You need to quit cooking with it and start juicing with it and snorting it! It shows Phenols, the number one constituents responsible for the oxygenating activity of oils, antiinfectious, large spectrum of action against bacteria, virus, fungus, and parasites, immunostimulant. This one you will like..it’s Frankincense..it is talked about in the Bible as the holy anointing oil. It is mentioned 52 times in the Bible. Sesquiterpenes again..they go beyond the blood/brain barrier. Look at this: anti-catarrhal, expectorant, antitumoral, immuno-stimulant, antidepressant. Good for bronchitis, catarrh, asthma, ulcers, cancer, immuno deficiencies and nervous depression. I got involved with a doctor in Scottsville, Arizona..Dr. Terry Freidman, medical doctor. I asked him if he would like to do some research and work with the oils and see what he could create. He said, “I would love to.” As of this day, one year from the time he started, he now has nine cancer patients out of nine in remission from prostate and lymphoma and Hodgkin. That is documented, by the way. Hyssop oil..the oil that Moses used. Look at this: anticatarrahyl, mucolytic, decongestant, anti-inflammatory of the pulmonary, regulator of the metabolism and lipids, anti-infectious, large spectrum staphlacocci, pneumonia, parasites. Prescribed for renal pharyngitis, sinisitis, bronchitis, pneumonia, cystitis, post infections, scoliosis, plaque, ovarian problems…it just goes on and one. Mountain Savory..it is anti-infectious, major activity as an antibacterial agent, antifungal, antiviral, antiparasitic, immuno-stimulating. Here they use it for Candida, cystitis, prostitis, and right on down through to arthritis and rheumatoid arthritis. All of these oils are found in the formula Immupower. It is a beautiful oil..there we see the Phenols again..anti-infectious, antiviral and antibacterial, a regular of neurovegitive degeneration of the nervous system, autoimmune; used also for arthritis and rheumatism, plaque and other things, but primarily for viruses of the auto-immune system. What is AIDS? She said, “One of the doctors I work for has a patient who has Lupus. She had had it for a number of years and as she was getting the Lupus was getting progressively worse and worse. She was in the hospital for tests and change in medication. My doctor told her that there was nothing that could be done and just to get her affairs in order. The woman said, “Because I am feeling better. My strength is coming up; my energy level is coming up.” Five days after that, which was a total of eight days, she returned to the doctor for a checkup. He could not find one symptom, not one trace, of the Lupus. God knew that we were going to have these diseases. He knew what we were going to deal with, and do you think he put us down here to be victims? Absolutely not! He gave us everything that we need to take care of the human body. This is Clove oil. Look at what it says: Antiinfectious, antibacterial..large spectrum of action against gram positive and gram negative, antiviral, antifungal, antiparasitic, antiseptic, and a general stimulant. Antitumoral, dental infections, viral hepatitis, colitis, cystitis, viruses of the nerves. What is MS? Look at this: cancer, Hodgkin..that was Clove oil, simple Clove oil. It is so incredible to see what can be done and what can be created, so I have made a major focus on creating formulas to support the immune system. and not become a victim. Thank you for coming and participating. join with us in taking this life-changing message to the world.